It doesn’t matter if you are from Monrovia or just passing through, we will gladly provide all the necessary auto repair services. Welcome to Homer’s Auto Services in Monrovia, CA. Thank you for taking the time to visit our website. We have been servicing fine cars and trucks for over 40 years. We are proud to provide auto repair and maintenance for the Monrovia and Arcadia area and the area around Monrovia and Arcadia. When you bring us your automobile our auto repair technicians will resolve the mechanical issue(s) presented, and restore the dependability and reliability you expect from your car’s performance. No matter what the problem is, we will inspect your vehicle for free and explain any work that needs to be done, followed by a fair and honest quote. Our diagnostic services are second to none and will give us all the the required information to diagnose and properly repair your vehicle to keep you on the road longer and safer. If you have ever felt that you needed that extra push in your vehicle, we provide all types of performance upgrades to help you get the most out of your vehicle! G35 front wheel bearing was failing. My plumber said he had good experiences at this location. No appointment. I showed up at about 2, he had me out at 3. This was my first experience here, so I made the appropriate adjustment to my schedule so time would not be an issue, assuming this would be a matter which would drag into the next day. I also made it clear to the owner that I was not in a rush. Plus.. I watched as they checked the torque on all lug nuts, checked tire pressure, pulled a nail (no puncture) and checked brake pads. Through, professional. There will be a “next time” for the rest of my fleet. 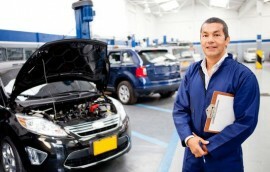 I can’t say enough about the great and timely services I have experienced at Homers Auto. I had a jeep wrangler with a lot of problems, crazy sounds, shredding belts, 4×4 not working to name a few. All of the problems were fixed and they even notice other things that just needed some attention and took care of those too. If you are looking for a shop you can be confident with any type of vehicle, than this is it. I have and will continue to send anyone I know with car problems over to Homers. Thanks guys, I’m really happy with the outcome! Welcome to Homer’s Auto Services in Monrovia, CA. Thank you for taking the time to visit our website. We have been servicing fine cars and trucks for over 40 years. We are proud to provide auto repair and maintenance for the Monrovia and Arcadia area and the area around Monrovia and Arcadia. It doesn’t matter if you are from Monrovia or just passing through, we will gladly provide all the necessary auto repair services. When you bring us your automobile our auto repair technicians will resolve the mechanical issue(s) presented, and restore the dependability and reliability you expect from your car’s performance. So drop by our auto repair shop and we will show you, why we are considered one of the best auto repair shops in Monrovia.